Our EPS sheets provide a simple yet effective and reliable solution for all your domestic and commercial insulation needs. EPS provides excellent mechanical properties and effective thermal insulation across a large spectrum of temperatures, helping to keep you comfortable and protected from either extreme. R value: One of the main reason EPS is so effective when used as thermal insulation is its high R value, which refers to a material’s ability to resist heat flow. 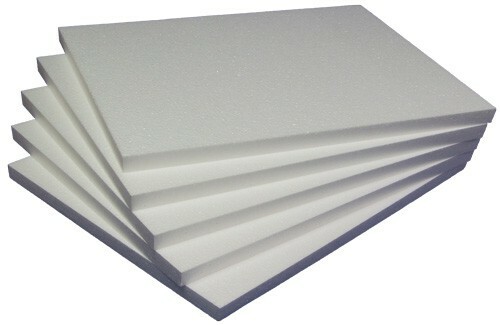 (The thicker the sheet of EPS, the higher the R value will be). 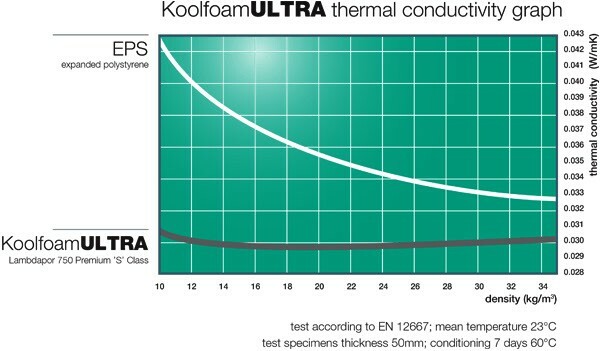 Koolfoam’s EPS sheets compare favourably with materials such as weatherboards, plaster boards, concrete slabs, fibre cement sheets and much more when it comes to R value. Other benefits: EPS is also resistant to water, insects and bacterial growth, lightweight, affordable and quick to produce, to name a few. Our EPS sheets provide a highly versatile option for insulation of various structures, including walls, ceilings, roofs, sheds, garage doors, underfloor insulation and so much more. EPS is the most cost-effective option for insulated concrete forms and structural insulated panels, yet still meets or exceeds all relevant building codes, making for a dependable product. Whether you need it for domestic use on your own home, or you’re insulating factories, workshops or warehouses, our EPS sheets are the smart choice, and our friendly, professional team will be happy to help you find a solution for your needs and budget. The 'R' value, or Thermal Resistance of a material, expresses the ability of a particular thickness of that material to resist heat flow. The definition of R value is the reciprocal of the material's thermal conductance (C value). The R value refers to the thermal resistance of a material, or assembly of materials such as the wall of a building, and is used to find the overall thermal resistance of an assembly of materials by simply adding individual component R values. Ask us anything about polystyrene. What are graphite particles doing in expanded polystyrene (EPS)? They both reflect and absorb heat and infra-red radiation. The result is grey EPS with a new dimension in insulation performance – up to 35% more efficient than white EPS. Whatever you’re after, get in touch to make an order or ask our friendly, experienced team for advice and we’ll find the perfect solution.